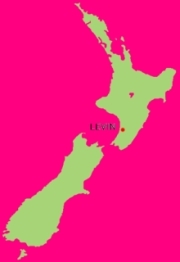 Levin is a town in the Manawatu-Wanganui region of New Zealand, and is the largest town in the Horowhenua district. It is on State Highway 1 and the North Island Main Trunk railway, 90km north of Wellington, 50km south of Palmerston North, and two kilometres to the east of Lake Horowhenua. The town was named after William Hort Levin, a director of the Wellington and Manawatu Railway Company. The name is a variation of the Jewish clan Levi. It is a shibboleth - unlike the usual pronunciation of the surname, stress is placed on the second syllable of the word. The name thus rhymes with the word 'begin'. 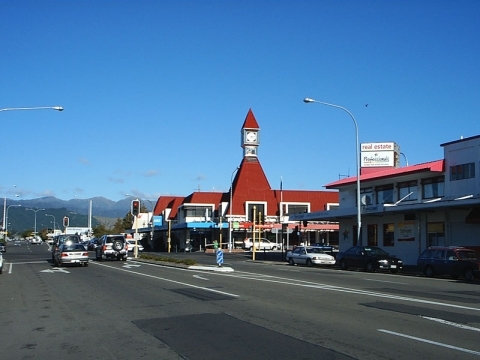 The town's Maori name is Taitoko. Levin is a service centre for the surrounding rural area, and a centre of light manufacturing. According to the June 2008 estimate, the estimated resident population was 19,600. Over 20% of inhabitants were listed as over the age of 65, a considerably higher percentage than the national average. The town celebrated its centenary in 2006.